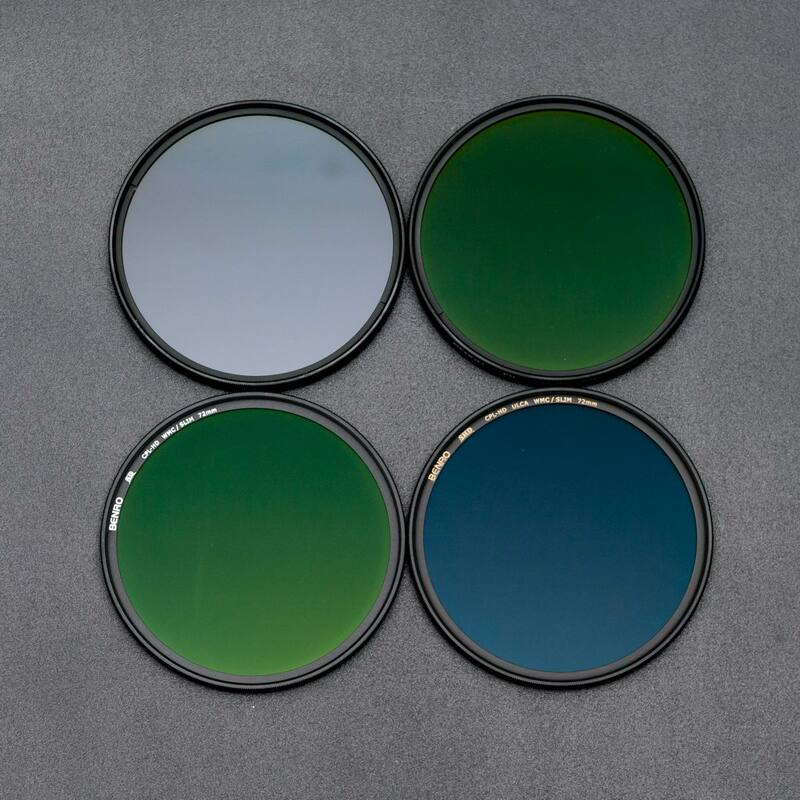 On the one hand the results of the third polarizing filters test are far less surprising than the results of the first one. The top of the scale is occupied by brand name devices produced by Hoya, B+W and Marumi while low-budget products predictably dropped to the bottom of the group. There were no proverbial ‘black horses’ and the leaders somehow didn’t want to have any slip-ups. Even the duel for the third place was hardly unexpected. The winner of our test, the Hoya Fusion Antistatic, is first and foremost a good polarizer. Its extinction coefficients are very good for most of the spectrum and not bad for violet where practically every filter has some problems. A slight scattering and excellent homogeneity indicate good production and quality control standards. A weak result in the medium transmission category shows it is really difficult to produce a perfect polarizer which absorbs just one compound of the polarization. In the first five places (occupied by as many as seven products) you can find all B+W filters, tested here. I suppose the users of those devices are not surprised at all. Keeping such a good result after 7 years of the presence on the market reflects very well on the producer. Examining the partial results you might assume that the same polarizers were used in the Circular-Pol E and the Circular-Pol MRC models but in KSM models they put different ones and those reach a higher medium light transmission level. Their characteristics are also moved toward the short-wave end of the spectrum so they work better near blue light. It’s true that the Circular-Pol E has worse coatings but they didn’t contribute to the creation of the artifacts in a meaningful way. The differences between the layers are visible in a photo below. The differences in points between the first six devices are so small that you can practically recommend all and any of those filters. As the presence of Hoya, B+W, Zeiss or Marumi products shouldn’t surprise anybody, a high position of the NiSi might be strange for some. That filter was good in every category but only when it comes to medium transmission it got the maximum score. It was placed in the top ten just because all its features are so well-balanced. Marumi keeps delivering very good results and so they strenghten the positive opinion about that brand name. We are very pleased because healthy, thriving competition on the market is a piece of very good news for every photographer. Zeiss presented a very good filter –if you buy it your images won’t be degraded for sure. However if you are not a big fan of that brand name you can always find something cheaper which quality is close to that of the Zeiss. The first Cokin filter tested by us was a certain disappointment. This time the result is much better and its position right next to the B+W and Zeiss products, quite adequate to the favourable reputation that French company enjoys among photographers. In every category the Cokin showed its positive side. The Benro filters were tested for the first time. Examining their results in particular categories we had an impression that all four models featured the same polarizer. There were some differences but only when it came to coatings and the ring construction (SD and SHD models). By the way you are able to see the cost of giving up the coating of optical surfaces. The Benro filters took 8th ,9th ,11th and…16th place. The weakest device lost points mainly for generating a lot of flares. The differences in coatings are shown in a photo presented below. Two other Hoya models took places in the middle of the group, offering products with well-balanced parameters. It’s a pity there was no coating whatsoever on their surfaces. The ‘CIR-PL UV’ inscription is, on the one hand, real because the ‘CIR-PL’ model really lets through ultraviolet rays and the ‘CIR-PL UV’ doesn’t but, on the other hand 70% of polarizers tested so far don’t let those rays pass through as well. That’s how a ‘two in one: CPL +UV’ feature which was supposed to be ‘unique’ proved to be not unique at all, rather something ordinary. Still I guess it sounds well in marketing materials. The Hama got a slightly higher score than other Chinese products. That little lever, helping to turn the ring, was its only original feature, making it stick out of the group. Its optical properties are not bad but, unfortunately, it’s not enough to defeat other rivals. Seagull and Zomei – their products met in the second part of our chart with very similar results. Like in the case of the Hama filter their results would be better if the producers covered their surfaces with at least the simplest coatings. As they are they might be placed only on the “low-budget” shelf. The NiSi DUS PRO and the Matin filters should be positioned in the same place. The Matin is simply lousy – homogeneous enough, with high transmission, doesn’t scatter too much light but as a polarizer it simply doesn’t perform. It lets through too much light from the damped down polarization direction and generates huge artifacts because it lacks any coatings. Finally two Braun filters. The Blueline one is made of a decent polarizer and that’s the only good thing you can say about it. The Starline, for a change, cannot boast of any good feature. It’s another time the filters got points in the upper part of the 50-80% range so, as you can see, we are no closer to the perfection than previously. Not much has changed in the world of polarizers for those last several years. 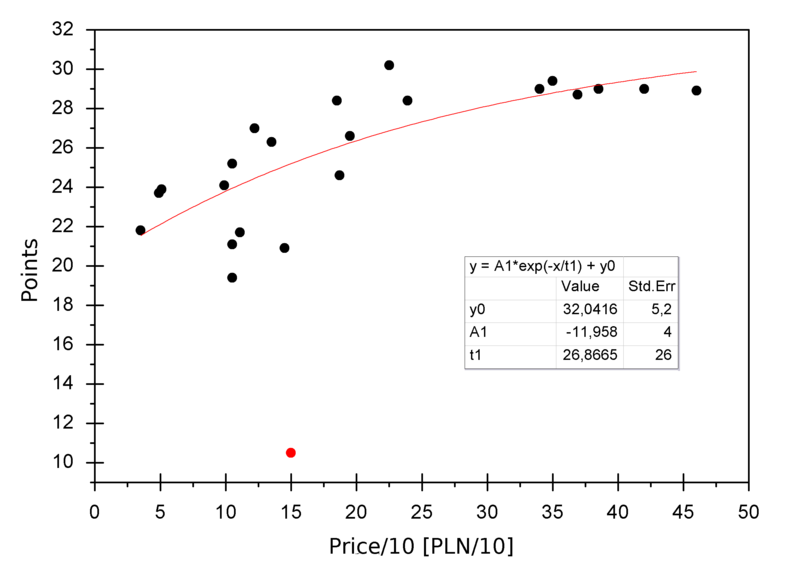 In the first test of polarizing filters we presented an analysis of the price/quality ratio in a form of a statistical curve – our first econo ranking. It is true that, for reliable statistics you would need hundreds or even thousands of tested models but in our situation it is practically impossible. We are going to employ another approach, exactly like in the previous test. 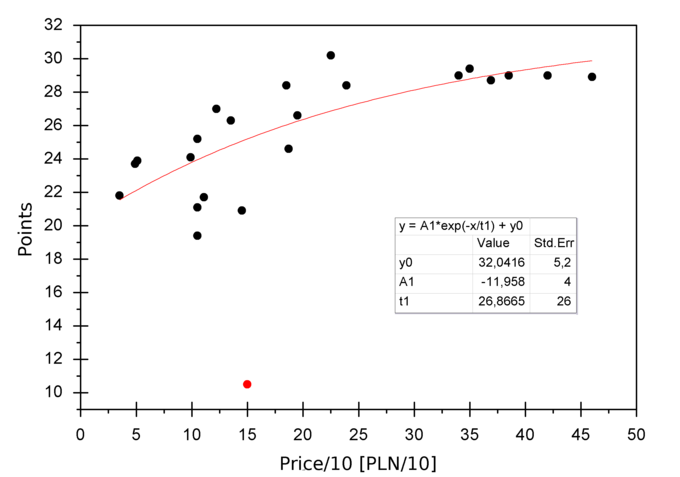 On the vertical axis of the graph we laid off the results of the test (expressed in points) and the horizontal axis presents the prices of the filters, scaled by factor 0.1. Such data are approximated by the exponential decay curve and then a distance between the curve and particular points is computed. 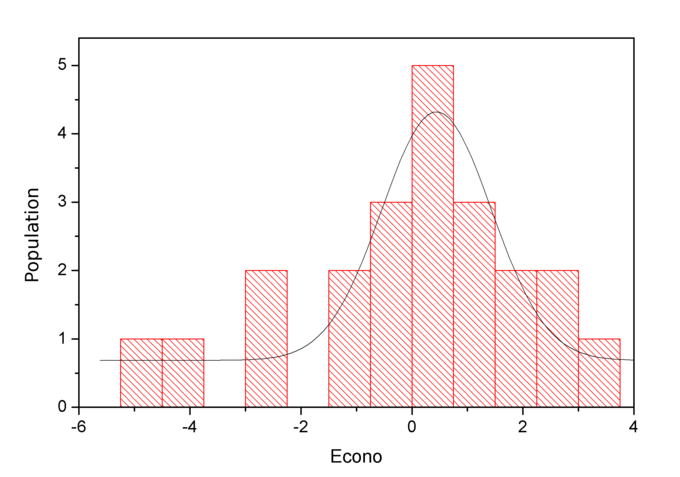 The histogram of such distances presents the second graph. 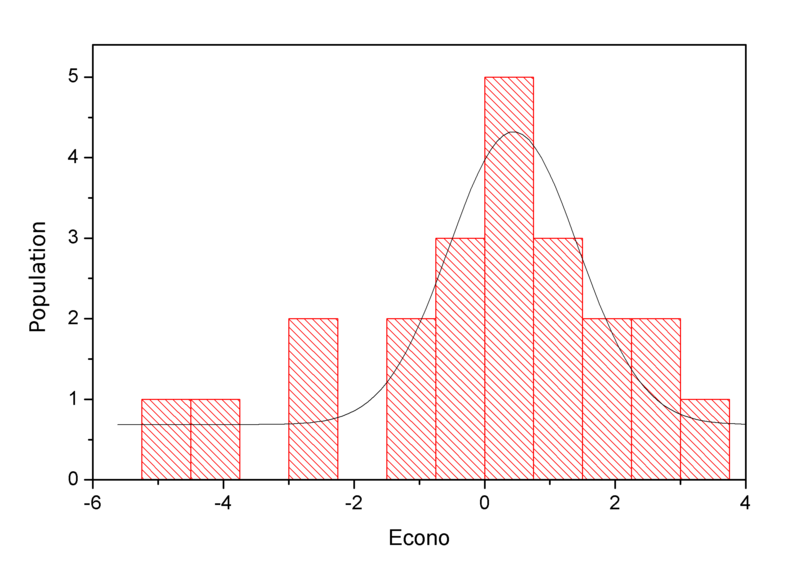 Firstly, the histogram roughly follows the normal distribution (so the bell-shaped Gaussian curve) which should be considered a success. In our calculations we omitted the red dot – it is the Braun Starline filter which fared very weakly in our test. Still we computed the distance of that point from the curve and we stated it as well. Now let’s check our ranking. The Hoya Fusion Antistatic, costing 225 PLN in the moment of publication, got a result higher than 3. It won in both overall and econo rankings. Such a success means it is a really good filter and you can find devices of similar quality which cost much more. The Marumi FIT+SLIM Circular PL and the Cokin Pure Harmonie CPL, with a result over 2, took the second and the third places in the econo ranking. We’ve got used to the good price/quality ratio of the Marumi filters and, fortunately, the things haven’t changed yet. The Cokin, for a change, was placed so high for the first time in both rankings but still it is not a huge surprise – after all we tested a top-of-the-range Cokin product for the first time too. In the 0.5–2 points range you can find a lot of different filters, the Seagull and the Hama among them, so those originally planned as ‘low-budget’ products. Their high place in the econo ranking stems from a very low price; still those devices didn’t fare badly in our optical test either. If you need something cheaper you should get interested in them. The Hoya CIR-PL Slim (10th place in the overall ranking) and the Benro PD (9th place) are in the same segment – these are solid filters which you can buy for less than 150 PLN. It is a good option for amateur photographers with less deep pockets or those who are just beginning their photography adventure – after all, apart from polarizing filters, at the beginning you also have to buy a lot of other equipment and 400 PLN might be enough for plenty of other accessories. As I’ve already mentioned such amount of money: in the segment over 0.5 of point you can find the B+W Circular-Pol MRC costing 350 PLN. There are four more expensive filters in our test but the B+W Circular-Pol MRC also took 2nd place in our overall ranking confirming the good renown that producer enjoys. If you appreciate brand name pieces of equipment of good quality you should take a closer look at that filter – it is certainly worth its price. The ‘you-get-what-you-pay-for’ category might be divided into three groups, quality-wise. The Marumi Exus, the Carl Zeiss and the B+W C-pol E are expensive, about 350 PLN each. Still all of them are placed in the group of the top five instruments tested here so they are completely recommendable. These are very good filters, definitely worth their prices. The Benro SHD, with a price tag of 200 PLN, was placed among the top 10 instruments of our test so it is a kind of golden mean. The Hoya HRT, costing just 99 PLN, is an excellent option if you want to buy someone a gift without spending too much. The filter was placed in the middle of the whole group so you can confidently say it is not bad. The Zomei polarizer costs 35 PLN – easily the cheapest position of our list. What’s interesting, it is not so bad either (15/20). Its place in the econo ranking means you won’t throw the money you spend on it down the drain but you should also define your needs very precisely. 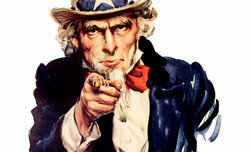 Read the test, put those 35 PLN on the table and take your decision. The B+W HTC MRC filters (both of them) cost over 400 PLN. It is true they took 3rd and 4th place in our overall ranking but there must be bounds of decency when it comes to high price tags. At the end of the econo ranking you can observe a very interesting coincidence – the order is identical as that at the end of the overall ranking. Such a connection I suppose proves without doubt that bad quality equipment is not worth their price – unless you want to waste some money. You’ll have to buy something better pretty soon anyway. All the filters occupying the last positions have prices ranging from 100 to 150 PLN. For such an amount of money you really can find a much better device. A lot of different goods leave factories. Their price depends firstly on the costs of production so the time you need to produce them, the number of steps in an technologic process, the quality of materials and, of course, on norms of quality control, adapted by the producer. Still the retail price consists mainly of different margins and additional costs so the numbers are more a result of price policies than of the real costs of production. The first graph shows that much, with a lot of points scattered around. It’s up to you to decide: you can accept the bravado of accountants or you can invest your money wisely. Of course we wish all our Readers only good, well-thought-out investments!